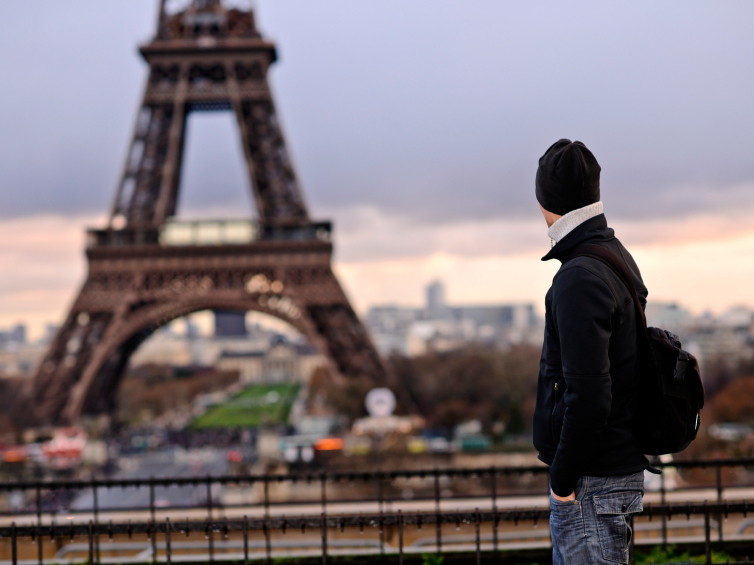 Studying Abroad: Is It Really Worth It? College students are often urged to take advantage of the opportunity to study abroad. Mark Salisbury, of Augustana College in Illinois, argues that meaningful cross-cultural education doesn't always happen. Though many colleges and universities urge their students to study abroad, there is little research on the actual benefits. In our increasingly interconnected world and global economy, the opportunity to study abroad seems like a particularly valuable experience. College students are urged to take advantage of study abroad programs to expand horizons and gain enriching cross-cultural experiences. In a piece in The Chronicle of Higher Education, Mark Salisbury, director of Institutional Research and Assessment at Augustana College in Illinois, expresses his concerns that the benefits of studying abroad are often oversold. "There are cases in which the learning really has gotten lost," he tells NPR's Tom Gjelten. "The learning isn't as well defined and ... articulated in the design as it could be." Salisbury, one of the authors of the forthcoming monograph Renewing the Promise, Refining the Purpose: Study Abroad in a New Global Century, says that in order for students to really reap the benefits, they need to be pushed out of their comfort zones. "Many times it really opens their eyes to a whole nother way of thinking about the world that we live in and how their actions and their interactions with people from other cultures really have an effect on the world that we live in. "... Many times it reshapes the way they think about their own career plan, and they take a more reflective turn on the role that they're going to play in the world as it relates to their career plans. And oftentimes, you talk to people who studied abroad 50 years ago, and they will tell you that that was the most powerful experience that they had. "... I remember my mother telling about getting on a ship in Montreal and going across to the great museums of Europe, and looking at artwork in person that they couldn't see in the States, and that that was sort of the stereotype of study abroad that we have. And now, things have changed quite a bit." "It used to be about learning foreign language and learning some content knowledge, the sort of parlance of higher education. And now it's supposed to be about developing a skill set, and one of those being cross-cultural communication skills. Well, the only way that you do that is really through experiential learning, and getting out and meeting people. "And so programs that are designed to really ensure that students have those experiences, sure enough, they're more likely to have that kind of an effect. The students get the chances to interact with people. And then if the program really has designed some aspects of where there's an opportunity to talk about those interactions and have conversations and really, you know, push students outside of their comfort zone, that's where you can really start to see some of the kind of learning that we'd like to see from — for all students that study abroad." "This is a sticky problem in study abroad and a sticky problem for higher education, generally. Study abroad is expensive, and it can be more so or less so, depending upon how it's designed and depending upon ... resources that the institutions have to supplement the cost. "... There's a whole series of things that shape students' decisions about whether an experience is a possibility for them. And if students begin with a presumption that, well, study abroad is for elite kids who have more money, and I'm just not one of those, they write off that possibility early. And then ... you have to find a way to make the study abroad fit into a curriculum. And you have to find a way to make it fit into your other obligations ... And you don't want to make it so that you have to pay a whole nother year's worth of tuition just to study abroad."